Jessica is a psychologist at Thriveworks Charlotte. She earned her doctorate in Clinical Psychology from Alliant International University (San Diego, CA) and both her Masters in Marriage and Family Therapy and Bachelor’s degree in Psychology from the University of Southern California (Los Angeles, CA). Jessica has training with all ages and across multiple settings, including schools, hospitals, and substance abuse rehabilitation centers. She has experience with an array of issues including depression, anxiety, substance abuse, and a variety of childhood issues. In addition to therapy, Jessica is able to conduct psychological assessments for both children and adults. Areas of special interest to Jessica include substance use/abuse, trauma, and personality assessment. 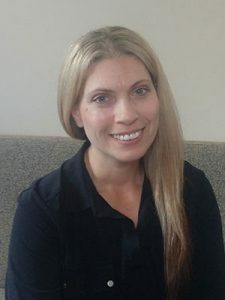 While Jessica gravitates toward both a Client Centered and Cognitive Behavioral therapeutic approach to treatment she understands the importance of incorporating a variety of treatment modalities to fit the needs of her clients. Jessica believes in therapist/client collaboration to help foster growth and help the client reach his or her goals. She provides an unconditional, supportive environment and strongly believes in the healing power of the therapeutic relationship. Outside of work, Jessica enjoys spending time with her two young sons, traveling the world, and running. Matt is a licensed clinical social worker at Thriveworks Charlotte. He graduated from the University of North Carolina at Chapel Hill where he earned his bachelor’s degree in psychology and his master’s degree in social work. Matt obtained his clinical social work license in 2015. 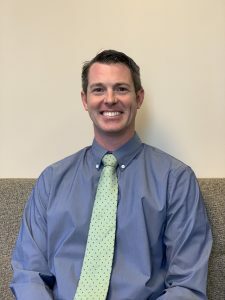 Matt has experience working with individuals and families in multiple domains including psychiatric hospitalization, child welfare, elementary, middle and high school. Over the last three years Matt has specialized in community based therapy supporting children and families through adverse experiences as a result of intense trauma. Matt has been trained in and facilitated evidenced based programs including Triple P Parenting, Strengthening Families Program, and Structured Psychotherapy for Adolescents Responding to Chronic Stress. As a parent of two school age children Matt appreciates and celebrates the unique strengths that all children possess. It is the strengths within each of us that Matt utilizes to enhance resilience through adverse periods. Using a variety of approaches from mindfulness, motivational interviewing, cognitive behavioral therapy, and dialectical behavior therapy Matt supports clients with developing skills that match their strengths and values to promote their fulfillment. Matt has used these techniques to support children, youth, parents, and couples impacted by mood disorders, anxiety, hyperactivity, executive function disorders, defiance, conduct disorders, chronic stress, and trauma to enhance their well-being and relationships. Matt is excited to support you in your journey to wellness and fulfillment. Through compassionate observation and respectful dialogue he will build a safe environment for you to develop and practice new skills. Patricia Stewart is a Licensed Professional Counselor in the states of Pennsylvania and North Carolina. She received a Masters Degree in Educational Studies from Duquesne University and a Masters of Science in Counseling Psychology from Chatham University in Pittsburgh Pennsylvania. With over 15 years of experience working in community mental health and private practice, she uses traditional and non-traditional approaches to therapy. Theoretical concepts of Humanistic, Interpersonal, CBT, Contemplative and Positive Psychology are applied. A part of her philosophical and therapeutic approach includes components of Yoga, guided imagery, and mindfulness. Patricia is a strong believer in the power of the mind-body connection. Self-awareness, awareness of our thoughts and perceptions, moods, bodies, and actions all help to shape and color our experiences of the world and how we walk through it. She will provide a safe, compassionate, and fully supported space for self-exploration. Patricia considers herself a champion for marginalized and under-served populations! She strives to eliminate barriers and stigmas related to mental illness. Clients served: ages 16-through the adult lifespan. Areas addressed include mood disorders, trauma, abuse, LGBTQ, grief, relationship difficulties, cultural issues, and life stress. Outside of work I enjoy cooking, outside adventures, traveling and dancing. Chelsea is a Licensed Professional Counselor Associate at Thriveworks Charlotte. She is originally from Charlotte where she earned her BA in Sociology and BS in Psychology at UNCC. She earned her Master’s and Specialist degrees in Mental Health Counseling from the University of Florida. Chelsea has received training in counseling adolescents, adults, couples, and families. Chelsea has worked primarily with adolescents and young adults with presenting issues such as grief, anxiety disorders, depression, relationship stress, self-exploration, career development, and existential concerns. Chelsea is sensitive to multicultural factors and is excited to broaden her experience by working with individuals of diverse backgrounds. 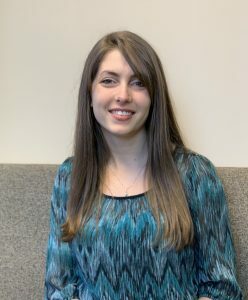 Chelsea integrates several theories in her counseling work, including cognitive behavioral therapy, gestalt therapy, existential therapy, person-centered therapy, and dialectical behavioral therapy. Chelsea believes that forming an empathic, accepting connection with others is most essential to fostering growth, healing, and change. She considers it a privilege to have the opportunity to create this environment with clients. 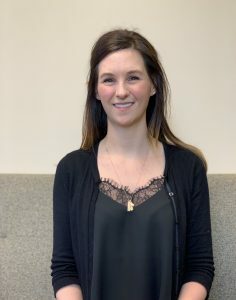 Originally from Wisconsin, Katie earned her bachelor’s degree in psychology from the University of Minnesota-Twin Cities. 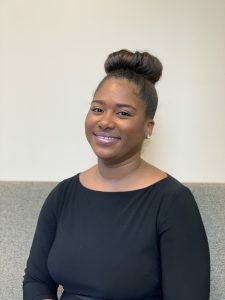 She pursued a Ph.D. in Counseling Psychology at Iowa State University and completed her predoctoral internship in Health Service Psychology at the University of North Carolina – Charlotte. She spent time in Minneapolis, Minnesota doing consulting work before returning to Charlotte to join Thriveworks Charlotte in 2018. Katie takes a person-centered approach to psychotherapy and psychological assessment. She works to understand the world from her clients’ perspectives, adapting to the unique backgrounds and needs each client brings. She believes in creating a collaborative therapeutic relationship to achieve long-term healing. She has experience working with individuals experiencing problems related to depression, anxiety, trauma and posttraumatic stress, adjustment and life transitions, grief and loss, family of origin, relationships and attachment, and career development. She draws from humanistic, psychodynamic, and trauma-informed theories in her therapeutic style, while incorporating influences from mindfulness and cognitive-behavioral approaches. She is trained in the psychological assessment of children, adolescents, and adults experiencing achievement, attention-deficit/hyperactivity, learning, personality, emotional, and trauma-related concerns. Barrett is a licensed Marriage and Family Therapy Associate. She earned her Master’s degree from Pfeiffer University in Charlotte. As a Charlotte native, she understands both the internal and external pressures on children and teens and can empathize with the struggles they may be experiencing. Whether you are seeking counseling as an individual, a couple, or a family it is her intent to work collaboratively with you to determine and work toward achieving your goals. Her experience includes working with adolescents, pre-marital couples, conflicted couples, anxiety, panic attacks, depression, and adjustment issues. As an LMFTA, she seeks to offer a warm, safe, and nonjudgmental environment where clients can explore current and past experiences, feelings, and relationships in order to pursue growth and healing. Barrett believes people are resilient and capable of working through the issues they are experiencing in their lives. Barrett enjoys working from a cognitive-behavioral model through an attachment lens. She is certified in PREPARE/ENRICH, a strengths based program for premarital and conflicted couples. Prepare/enrich addresses each couple's strength and growth areas for couples to better understand and improve their relationship. Barrett is also trained in level one Gottman couples therapy. Carmen is a Licensed Psychologist at Thriveworks Charlotte. She received a bachelor’s degree in Psychology from South Carolina State University and earned her master’s and doctorate degrees in Clinical Psychology from The University of Florida. She also completed a postdoctoral fellowship in the Child and Family Therapy Clinic at the Kennedy Krieger Institute/Johns Hopkins School of Medicine. 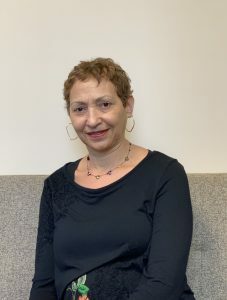 Carmen has assessed and treated a variety of clinical disorders across the lifespan; however, she is most enthusiastic about her work with children, adolescents, and their families. Carmen takes a client-centered, values-based approach to treatment and is well-versed in a variety of treatment modalities including, but not limited to, Cognitive Behavioral Therapy (CBT), Functional Family Therapy (FFT), Dialectical Behavior Therapy (DBT), Acceptance and Commitment Therapy (ACT), and Parent-Child Interaction Therapy (PCIT). Carmen uses these and other empirically-supported strategies to address concerns regarding anxiety, depression, anger and behavior management, executive dysfunction, and interpersonal discord. Carmen is passionate about her work as a psychologist and is genuinely invested into her clients, their families, and the larger communities in which they exist. She believes that therapy is a collaborative process as evidenced by the value that she places on encouraging clients to be an active and integral element of their therapeutic journey. Heather Fangman is a licensed professional counselor associate and nationally certified counselor. She graduated from Miami University with a BA in psychology and completed her masters degree in community counseling at Youngstown State University. 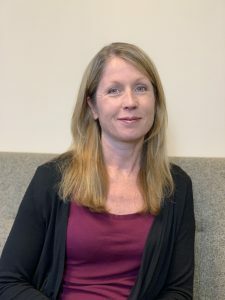 Heather has experience providing individual and group counseling services to children, adolescents, and adults around issues including abuse and neglect, depression and anxiety, postpartum depression, high conflict divorce and reunification therapy, difficult relationships and parenting concerns. 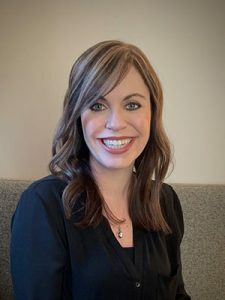 Heather has a special interest in play therapy, perinatal mood disorders, perinatal trauma, and high conflict divorce and reunification therapy. Heather’s orientation is primarily cognitive behavioral and person centered, but she integrates mindfulness and expressive arts techniques into her work. 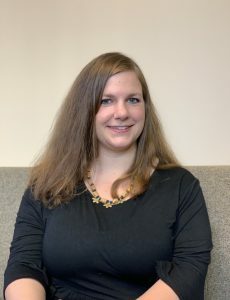 Heather’s background also includes several years in community social work, therapeutic foster care case management, academic coaching, and childbirth education and labor support. 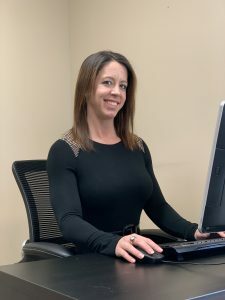 Angela Chop is a licensed psychologist at Thriveworks Charlotte holding active licenses in both North Carolina and Florida. She earned her doctorate degree in clinical psychology from Alliant International University (Sacramento, CA), her masters degree in mental health counseling from Rollins College (Winter Park, FL), and bachelor of arts in psychology from Elon University (Elon, NC). Angela has worked in a variety of settings including university counseling centers. She specializes in providing treatment for trauma/PTSD, anxiety, depression, academic concerns, life transitions, family of origin issues, gaming and social media addictions, relationship struggles, eating concerns, LGBTQ+ related issues, and social anxiety. She utilizes an integrative, holistic approach that tailors to the specific needs of each individual. Angela believes it is important to consider clients’ cultural backgrounds, areas of strength, and values when working together to achieve emotional health and well being. She offers both therapy and psychological assessment services. Life can be challenging and messy. Angela wants to help you find the fulfillment and happiness you deserve in your life. It takes a lot of courage to enter into therapy, and she would love to be a part of your journey. 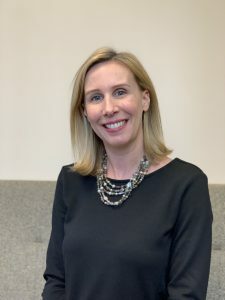 Shanna Heun earned her Doctorate in Counseling Psychology from the University of Miami in 2011 and holds active licenses as a psychologist in North Carolina (5173) and Florida (PY8953). She received her Master’s degree in Counseling Psychology from Boston College and her undergraduate coursework in Psychology and Fine Arts Painting was completed at Syracuse University. Areas of Expertise are *Adoption Evaluations* AD/HD Evaluations* Cognitive Functioning Assessments* Coping Skills* College Readiness* Emotional and Behavioral Functioning (Anxiety, Depression, Adjustment Disorders, Self-Esteem, etc. )*Learning Disabilities Evaluations* and Professional Development*. Shanna is skilled at helping individuals realize there is hope, even in the most stressful situations, by listening with empathic regard and developing an action plan. Her approach is client-centered, where she finds each client’s areas of strength and growth, and seamlessly integrates this knowledge into individualized treatment. She has honed her therapeutic interventions over the past thirteen years in a variety of treatment settings with diverse clients across the lifespan. Shanna’s primary specialty is evaluation, where she partners with the client to create personalized action plans to help children and teens overcome obstacles. Shanna makes testing a great experience for your child and is known for her quick turn-around on reports. Lastly, she completes adoption evaluations and will work closely with the agency you have selected in order to ensure the report is not only in the proper format, but that each assessment meets the specific and stringent guidelines. In her free time, Dr. Heun enjoys spending time with her husband, two young children, and therapy dog, Lola. She also enjoys travel, entertaining, being outdoors, and painting. 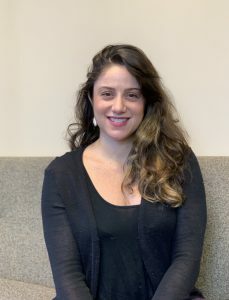 "Adriana is a bilingual and bi-cultural, clinically licensed social worker with 5 years experience in the field trained in evidenced based mental health interventions including Trauma Focused Cognitive Behavioral Therapy. She possess 13 years of work in the arts and wellness community and is committed to providing compassionate, and solution-oriented mental health treatment for children, adolescents, adults and families. Social justice is an important theme in Adriana's work and she believes that exploring and discussing it is vital in the path toward healing, self-care, self-love and creating a kinder and more just society. Adriana is highly committed to helping individuals, families, and the overall community toward recovery and wellness via her expertise in clinical social work and in wellness via the practice of yoga, dance and martial arts". Blair Hamel is a licensed psychologist at Thriveworks Charlotte. She earned her doctorate in psychology from Pacific University (Portland, OR) and her bachelor’s degree from University of Portland (Portland, OR). With over six years of experience helping children, adolescents, adults, and couples, Blair strives to help her clients progress and bloom. Blair’s therapeutic approach is client-centered. This means she is flexible and adapts to the style that is best for the client, bending from psychoanalytic therapy to cognitive-behavioral therapy and everything in between. Blair’s primary goals in treatment are to help clients gain comfort in the therapy room, to provide unconditional acceptance, and to empower clients to achieve their goals. Blair has experience helping with the following issues: depressive disorders, anxiety disorders, behavioral disorders, conduct disorders and general non-compliance, attention-deficit hyperactivity disorder, parent-child relationship issues, and relationship struggles. She has experience helping families with very young children and adults alike. 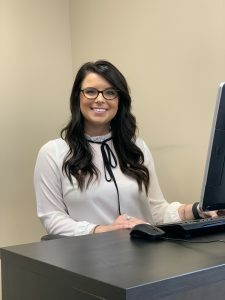 The experience with the lifespan allows Blair to connect with a variety of clients on a genuine level. Blair is also able to conduct psychological assessments, including intelligence and achievement testing for all ages. Matt Matone is co-owner of Thriveworks Counseling. His primary responsibilities are administrative in nature which include finance, scheduling, and general business operations. 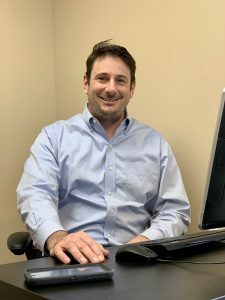 Matt also maintains relationships in the community through partnerships with local medical providers, treatment facilities, law firms, and insurance payers. Matt is passionate about helping individuals have access to quality counseling. 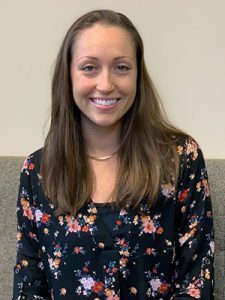 Megan Metcalf is the Assistant Office Manager at Thriveworks Charlotte. She received her master's degree in Marriage and Family Counseling & her bachelor's degree in Psychology both from Liberty University. Megan assists with general business operations, helping both clients and the clinicians at Thriveworks Charlotte. She believes that making the first phone call is often the most difficult step to counseling & is happy to be one of the first points of contact that our clients will speak to. Her goal is to make the counseling process as smooth as possible from the beginning. She will carefully listen to your needs & concerns so that she appropriately schedules you with the clinician who is the best fit for you. Megan is available Monday through Friday from 9am-5pm. You can reach her at (980) 313-4145. Holly Jones operates as an Administrative Assistant at Thriveworks Charlotte. She has her Associate’s Degree in Emergency Medical Science and has an extensive clerical and clinical medical background in Emergency Medicine and Patient Access. She has worked as a government field and tactical paramedic and has also managed the daily day to day operations at our local emergency departments.